While Casino Hold ’em is the most popular poker game, Classic 21 is the most favoured Blackjack variant in UK casinos. Both Casino Hold ’em and Blackjack have millions of fans around the world, who log into their online UK casinos to play either regularly or occasionally. Both games can be challenging to play and win but is one better than the other? 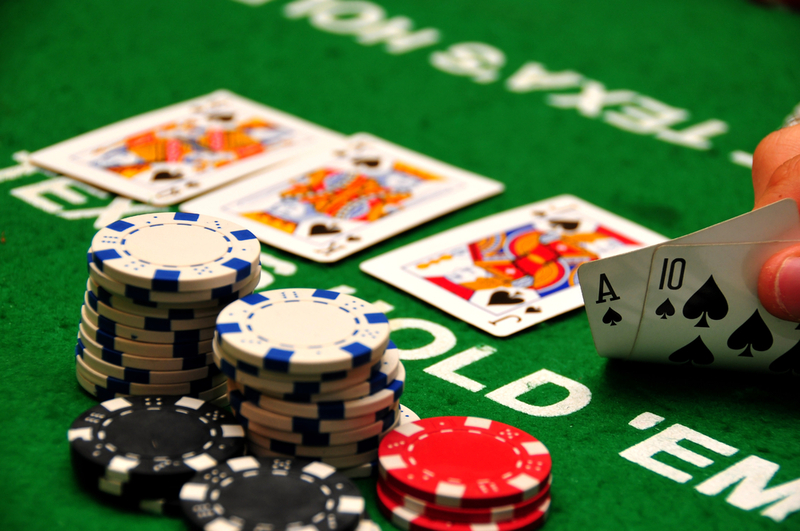 Here is a guide to help you choose between playing Casino Hold ’em and Blackjack. Casino Hold em is a variant of Texas Hold’em poker that can be found at both online and land-based casinos. The most outstanding feature of Casino Hold’em is that players play against the dealer. The game starts with the player making an Ante wager or a progressive Jackpot side bet. The Dealer and the player must each have two cards and there must be three community cards, face up on the poker table. Players can either call or fold. If the player folds, then he loses his cards and Ante bet. If the player calls, the Call bet should be twice as much as the Ante bet. The dealer should have a pair of fours to qualify. If they don’t qualify, the Call bet will push. In case the dealer qualifies and beats the player, the player shall lose both the Ante and Call bets. If the dealer qualifies but loses to the player, both the Ante and the Call bet will pay. If the dealer qualifies but his hand is equal to the player’s hand, then all bets are returned to the player. Royal Flush – King, Queen, Jack, Ace and 10, all of the same suit. Straight Flush – Five cards, all of the same suit, in a sequence. Four– Four cards of similar denomination, each one in a different suit. Full House– Two cards of different denominations and three cards of one denomination. Flush – Five Cards of similar suit. Straight – Five cards in sequence but of any suit. Three – Three cards of similar denomination and two unmatched cards. Two pair – Two sets of two cards of similar denomination and any one card. One pair – Two cards of similar denomination and three different cards. High Card – Any five cards. In Blackjack, players compete against the house, instead of each other. Blackjack is an exciting casino game, apart from the fact that players must act before the dealer. This means that in a game of blackjack, the house will always have an advantage over players. The main goal is to get a hand total that’s closest to 21, then the dealer. The game starts as the players and dealer each get two cards. Note that while both the player’s cards are face up, the dealer must have one facing down. Blackjack is played with the 52 standard deck of cards. Due to a large number of players, online casinos now offer double deck, single deck, 4-deck, 6-deck and 8-deck variants. Once the dealer shuffles, the player shall ‘cut card’ at any random position within the stacks of cards. If this card is reached during the game, it indicates the final deal of the game, before the cards are re-shuffled. Each player will place their bet in the betting circle at the table. The dealer then deals one card at a time, in a clockwise direction. If the dealer has an ace or 10, players are allowed to place an insurance wager that is half their original bet. If both the player and the dealer have blackjack, the bet is returned to the player. If the dealer doesn’t have Blackjack, all players with Blackjack are paid and the insurance bets are lost. In conclusion, both Casino Hold’em and Blackjack are very different casino games. However, both require practise, discipline and patience to win. So which will you pick; Casino Hold’em or Blackjack? 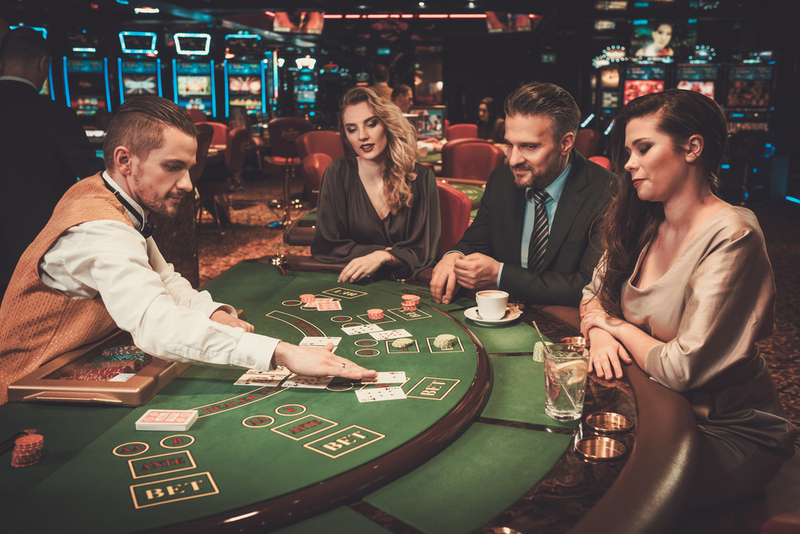 If you are unsure where to start, head on over to topcasinosites.co.uk for a more general introduction to UK casinos, including the best places online offering the two mentioned game types. Good luck!